Welcome to the website of the Equal Opportunity Compliance Coordinator of Lehigh University! 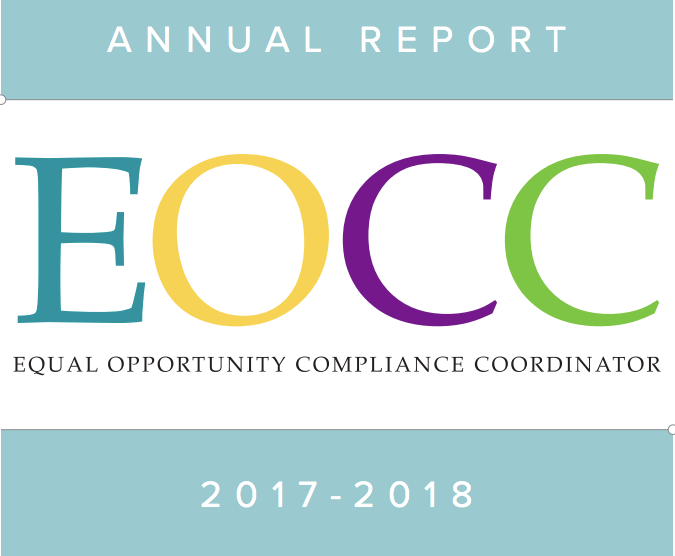 The Equal Opportunity Compliance Coordinator, also referred to as the EOCC, is responsible for overseeing and coordinating the education and compliance efforts relating to equal opportunity and non-discrimination laws, including Title IX of the Education Amendments Act of 1972 (Title IX), and University policies. As such, the Equal Opportunity Compliance Coordinator also serves as the Title IX Coordinator, Americans with Disabilities Act (ADA) Coordinator, Section 504 of the Rehabilitation Act of 1973 (section 504) Coordinator, and the Age Discrimination Act of 1975 Coordinator. The Equal Opportunity Compliance Coordinator oversees the investigation of all reports and complaints of discrimination, harassment, retaliation, and sexual misconduct and the enforcement of University policies addressing these topics. The Equal Opportunity Compliance Coordinator also oversees the University's response to bias incidents. In collaboration with many offices across campus, the Equal Opportunity Compliance Coordinator trains and educates faculty, students, and staff through both online and in person sessions on discrimination, harassment, retaliation, and sexual misconduct. Along with ensuring compliance with equal opportunity and non-discrimination laws, the Equal Opportunity Compliance Coordinator works with other offices on campus to foster a more diverse and inclusive environment at Lehigh. I encourage you to browse the website for more in-depth information about any of the areas overseen by the Equal Opportunity Compliance Coordinator. If you have any questions about the information contained on this website, or would like to file a report or complaint, you may contact Karen A. Salvemini, Esq., Equal Opportunity Compliance Coordinator. during the 2015-2016 academic year.